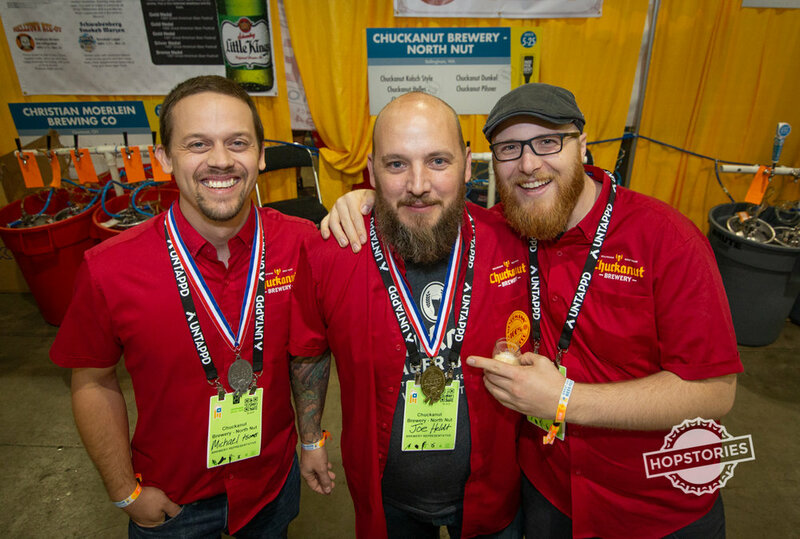 The Great American Beer Festival (GABF) has come and gone again. We’re a little behind on the written side of things, but sometimes you need to take a step back from the festival to reflect on it. While there, we published daily photo albums, videos, and interactive 360 content, quite a bit for 3 short days! This was our second year having a presence at the festival and we gave ourselves a bit more time without client deliverables; which freed up time for observations, seeking out our friends, and actually enjoying beer. This year featured two large areas sponsored by fairly large corporate entities - Buffalo Wild Wings (same parent company as Arby’s) and Jamison. The partnerships are likely important to bringing craft beer to more people, but we found it curious. Why do you think the BA, who typically sides with and advertises/supports/promotes 'smaller is better' would bring in these large megaliths to the Great American Beer Festival?" 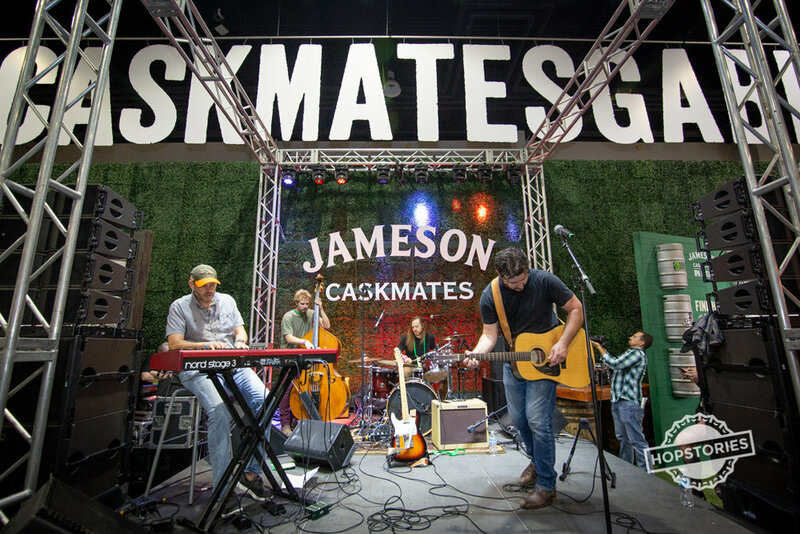 The partnership with Jamison at least made a bit more sense to us, since they were promoting their partnership with a variety of breweries from around the country in their “Caskmates” program. That being said, they are neither an American company nor a brewery. With ~60,000 tickets sold, you’d expect the actual festival to be the main show, but that isn’t the case. The entire city of Denver becomes a beer event for the three days of the festival (and week leading up to it). We made sure to check out some of the tap takeovers around town and see what else is going on in Denver beer. Our favorite event was a beer media bottle share and burrito breakfast called “Bangerz and Smashed.” Now in it’s second year, the event is a bunch of folks that produce media around beer, drinking rare beers and eating breakfast burritos. It’s a great reminder that there are lots of others trying to make a career out of beer, while not being employed by a brewery (although many were). Look for us promoting that event next year! 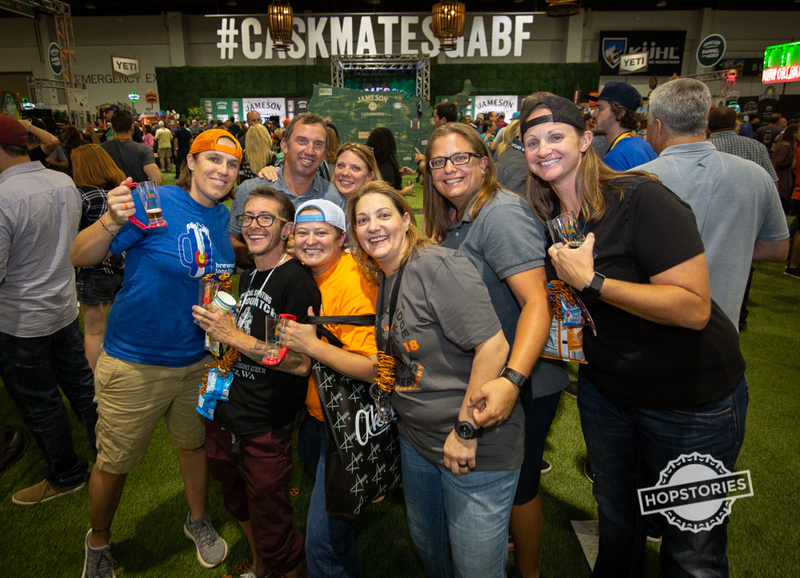 GABF increased the area of the festival this year, which allowed for more beer, bigger booths, and bigger displays for getting consumers attention. 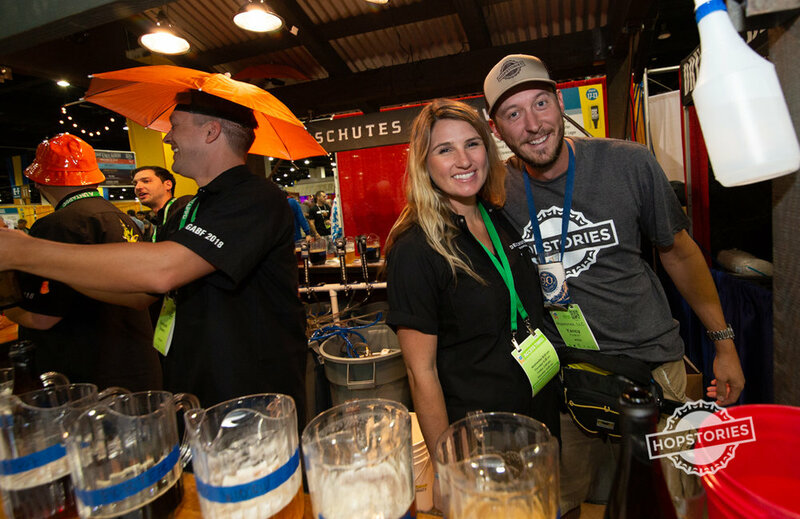 This increase in booth displays showed a disparity in marketing budgets between the bigger breweries and the small ones that barely had enough beer to bring. Some of the best beer we had was from breweries that had no additional booth setup other than the sign provided by the festival. 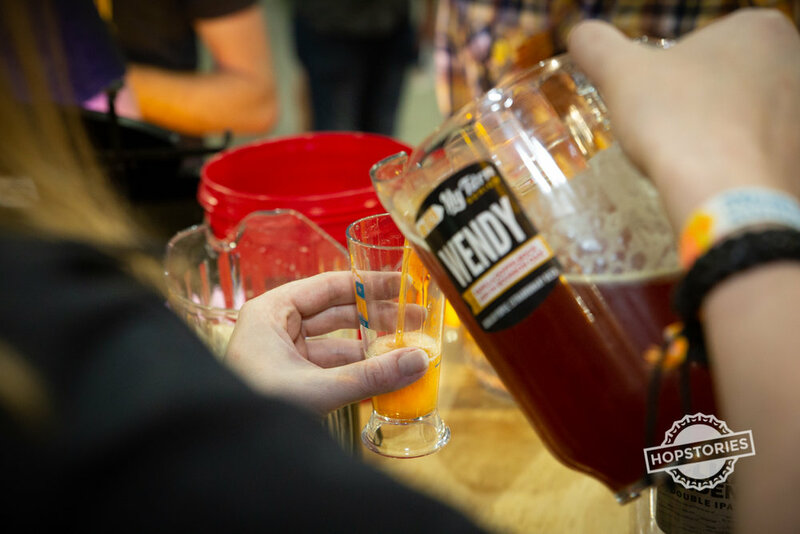 While good beer is typically the driving factor for consumers once they’ve tasted it, marketing is needed to get the beer drank in the first place. 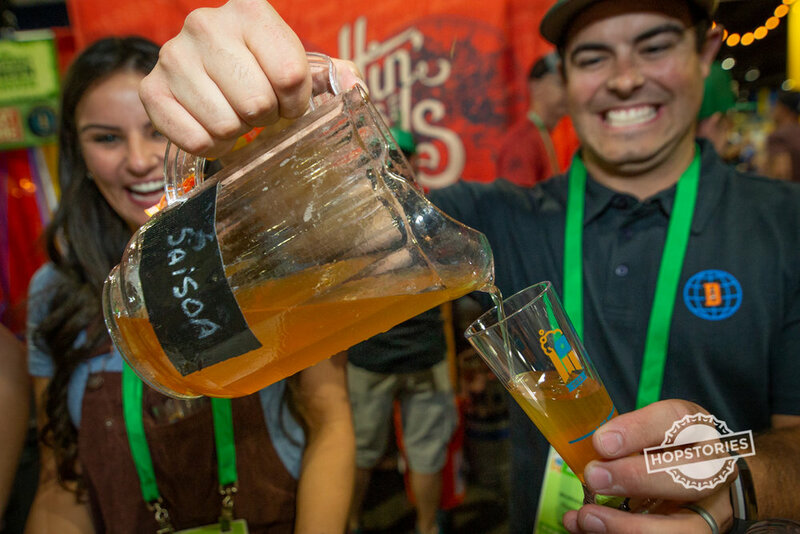 At a festival that imitates the more and more crowded shelf space, breweries need to learn how to stand out to consumers. Last year we scheduled our flights out for early on Saturday, which caused us to miss the awards portion of the GABF weekend. This year, we learned from our mistakes and attended both the awards and the members only tasting. The awards were a lot of fun to see, we camped out near the stage and sniped some great shots of our friends winning medals, but the Members Session after was where the fun was really at. For those that haven’t been in the past, the Members Session is Saturday afternoon, immediately after the awards in the morning. 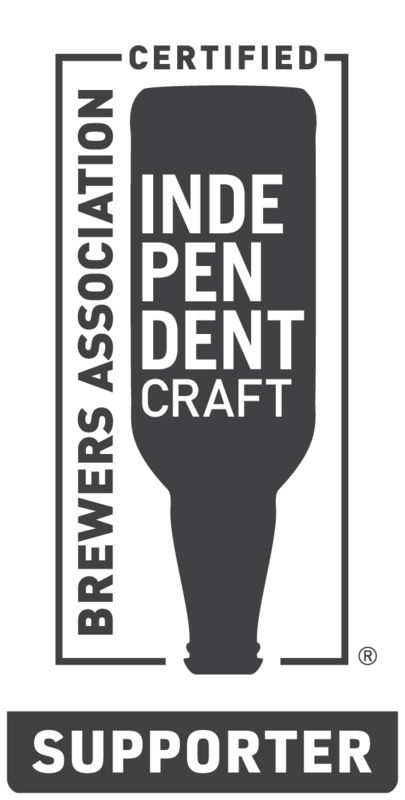 This session is only open to members of the American Homebrewers Association or Brewers Association. It is much more laid back and has glassware instead of the plastic cups used the rest of the festival. It’s a great opportunity to try the beers that just won awards, actually chat with brewers, and have a lot more space to move around. We’ll make sure to hit this session again next year! 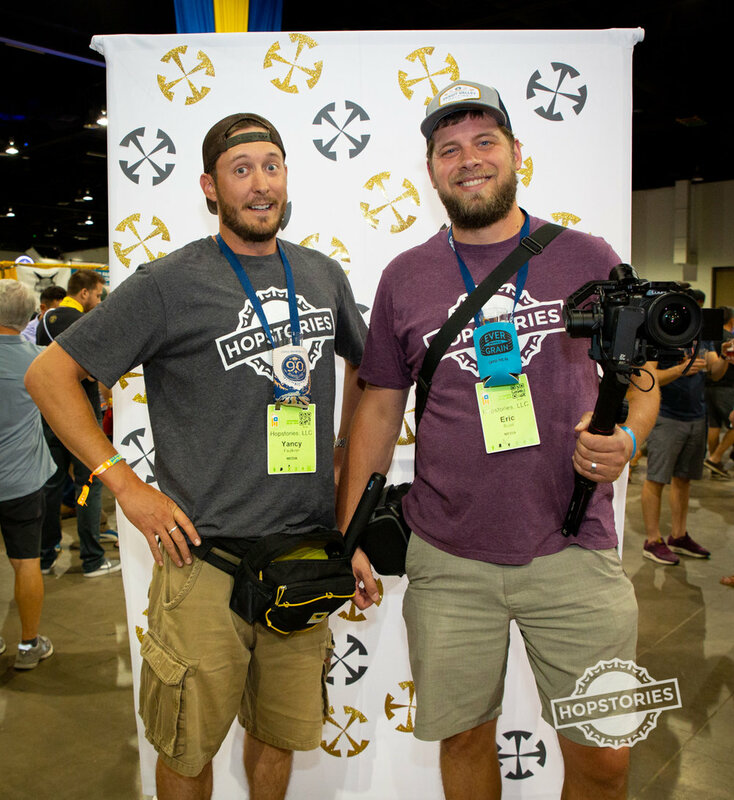 With our 2018 GABF coverage coming to a close (and after being featured as the final image of the fest from the official Twitter and Instagram accounts), we’re looking forward to what next year will have in store. We’re already looking at AirBNBs and figuring out how to share our view of GABF with the world.